Custom designed templates set you apart and help you immediately relate to your customers! Chimney Rock Animal Hospital wanted a website that would help bring in new clients as well as offer tools for their existing customers. The new website we designed and developed allows clients to submit their pet's prescription refills, and request appointments easily! We also helped work with a local Abilene photographer to obtain quality images to use throughout their site. 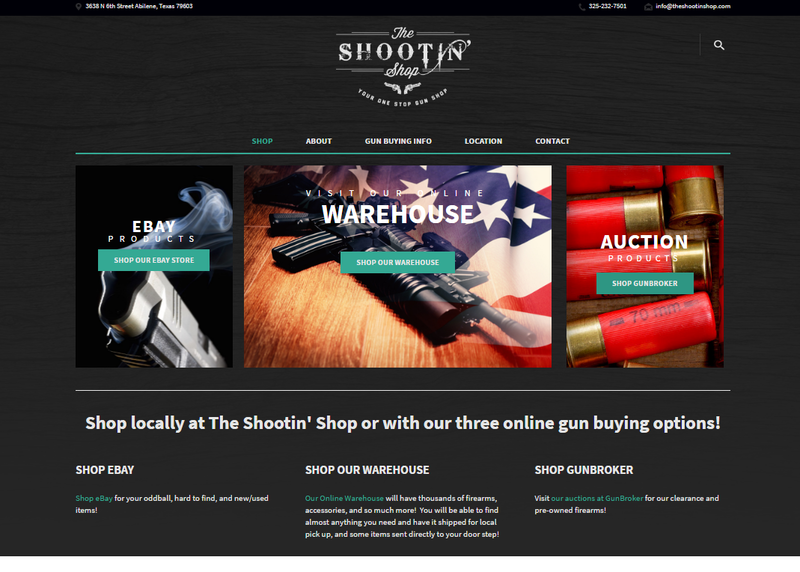 The Shootin' Shop was already taking advantage of external tools to sell their products online, but they wanted everything to tie into their website better. In order to do this, we started by updating their logo design. Then, we used the new logo as a starting point to create a new custom design for their website that fit their business perfectly! We developed the site using Craft CMS which is a very user-friendly content management system that we setup specifically for their custom design. We also equipped the new CMS with an e-commerce plugin that will making selling their products on their own website easy to do whenever they are ready. Busch Jewelers needed a custom design that matched their exclusive jewelry, watches, and gift, and we hit it out of the park on this one! 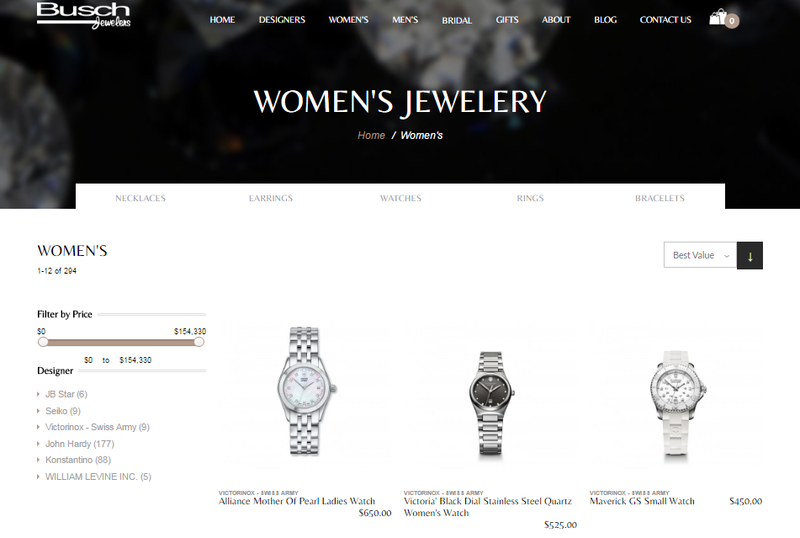 We developed their full-blown e-commerce website using Magento and a custom theme. We added a custom shipping option due to the higher cost of products being sold, and some advanced image zooming to give customers a closer look at the beautiful details of their products. We also added or imported most of the product information in order to get the website up before Christmas! 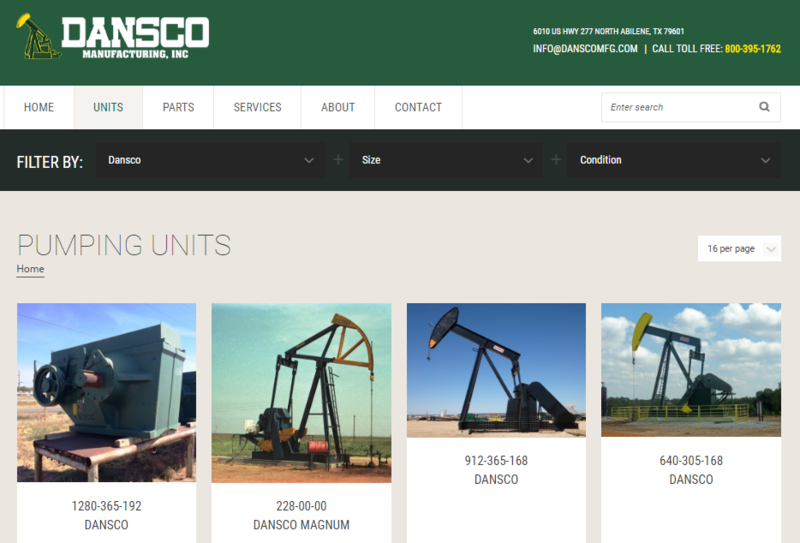 Dansco Manufacturing is a company located in Abilene, Texas that wanted to make a global impact! We worked with them to create a custom design that showcased the products they sell and the services they provide all while keeping their personality in mind. 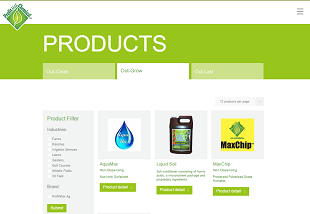 Ability to display and filter products by category, manufacturer, size, etc. All through the new website's creation, we had a strong focus on Search Engine Optimization because there really wasn't anyone else in their industry taking advantage of best practices at the time. The impact of the new site has been tremendous! ProfitMax Chemical wanted a modern looking website that showcased who they are and provided information about the products they sold. Their website includes some advanced filtering for their three very different categories of products and services. Filtering was made possible (and user-friendly to maintain) via Craft CMS categories. The responsive design for this site is our favorite so far. This means a great customer experience whether they are viewing the site from a desktop or mobile phone! For Lighthouse Global Energy, we initially setup a one page website just in time for an important conference. When they were ready for a full-blown website, we created a custom web design and developed their site on top of a new front-runner in content management systems called Craft. I see many more Craft CMS websites in our future! 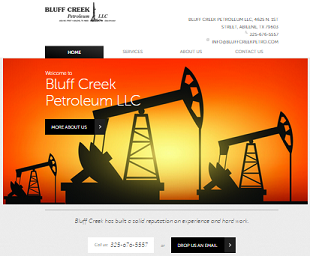 For Bluff Creek Petroleum, we designed and developed a website that they want us to maintain until they were ready to take over. They provided us with all of the content they wanted on their site and we made it happen! 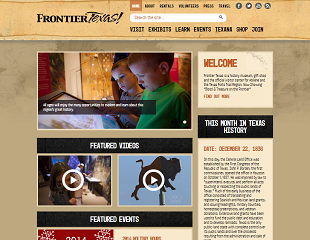 Frontier Texas already had a good idea of what they wanted their website to look like. We helped design three templates completely unique to them. 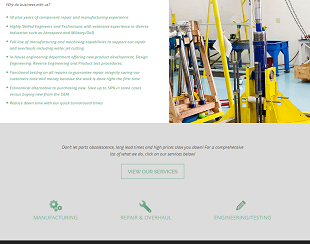 We developed their website so that it would be responsive. In other words, it looks good whether you were on a computer, laptop, or mobile device. Finally, we put everything on top of a ExpressionEngine. A very user-friendly and completely customizable content management system. 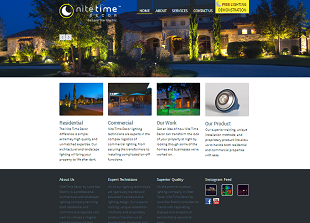 Nite Time Decor by Lone Star Electric requested a clean, professional looking site, and we delivered! Their site features a mobile-friendly design, photo galleries, a customized call to action button, and an Instagram Feed. 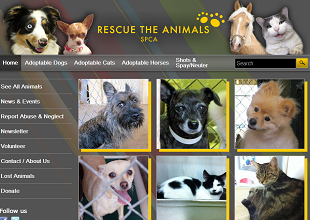 Rescue the Animals needed a website with a lot of personality and functionality! We created a custom design and used ExpressionEngine so they could collect and follow up on everything from volunteer applications, to reports of abuse. Each animal awaiting adoption also has a dedicated page with places for photos and videos! Want us to design and maintain your website? We can do that too! 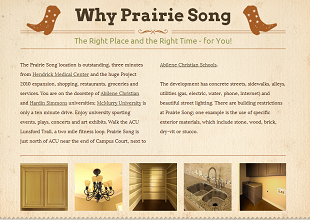 We are doing that now for Prairie Song Homes with this beautiful one-pager. Mine By Design already had a website, but they wanted an updated look that was easier to maintain. 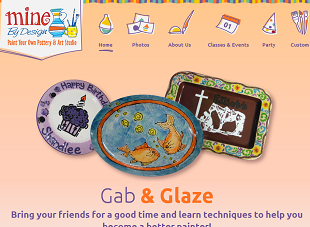 We designed a site for them that matched their creative style. Then, we set them up on ExpressionEngine for easy maintenance and even added an e-commerce piece so they could sell their custom work online! 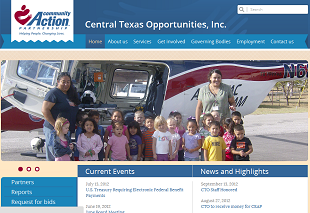 CTO, Inc has been doing amazing things to assist low-income individuals and families, and they needed a website to share information about their different services. They also wanted a place to share documents and forms in one central location. We created a custom design and used ExpressionEngine to make this happen for them! Having a retail shoe store in this economy is a daunting task in itself especially without a website. 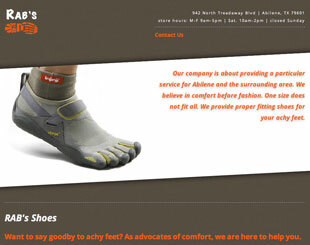 RAB's Shoes in Abilene called on us to create a simple web design to boost their web presence and rumor has it a full blown e-commerce web site is in the works. In the midst of a complete makeover of their outward image and brand, First Texas Title did not just want a new building, but also a new web presence. 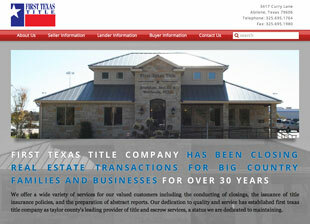 With a custom web design, First Texas Title set themselves apart from their competition in both their physical location as well as their virtual presence on the web. 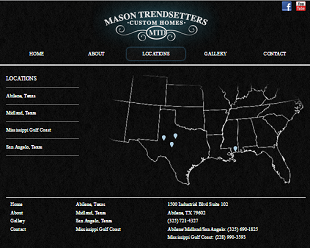 Mason Trendsetters, a custom home builder in Abilene needed a web design that could match their creativity. After working with another web development company, they found us. With a custom design and development to display listings with search capability, Mason Trendsetters has already increased web traffic.